Streets and planets are named after them, people still stand in the cold for hours on end to see their work, and their names are etched into the history books. 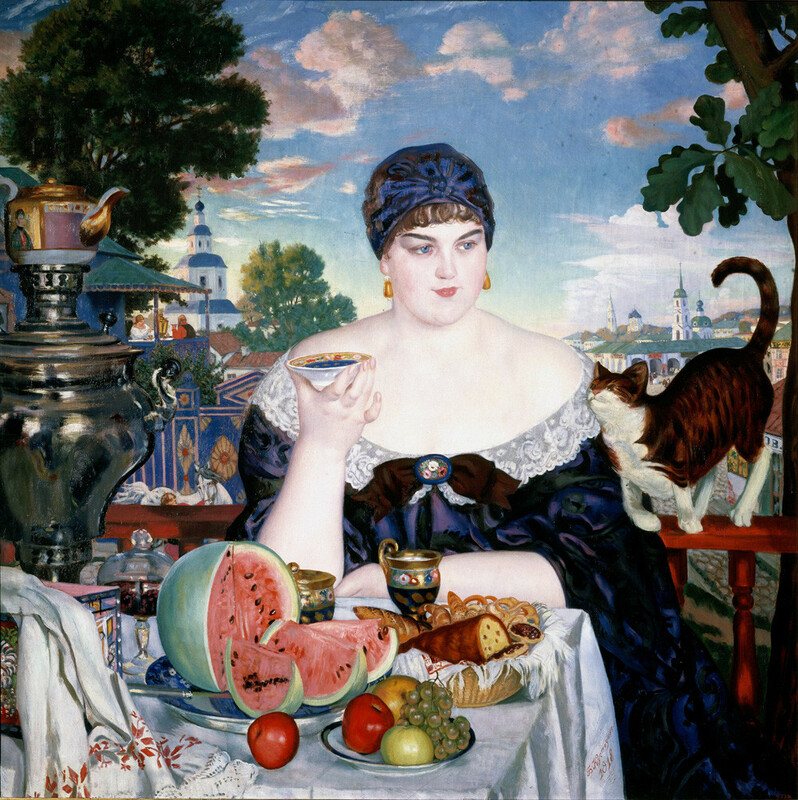 So who are these Russian painters who are so entrenched in the country’s artistic genome? 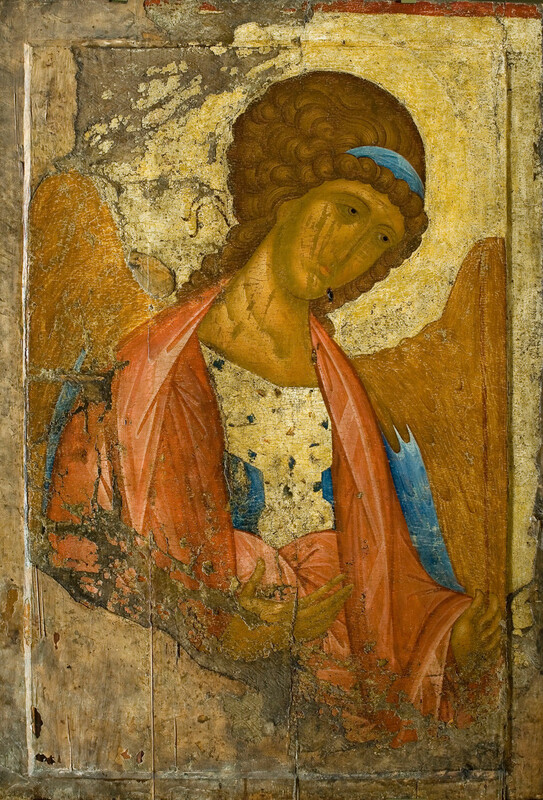 Andrei Rublev is the most prominent Russian icon painter. 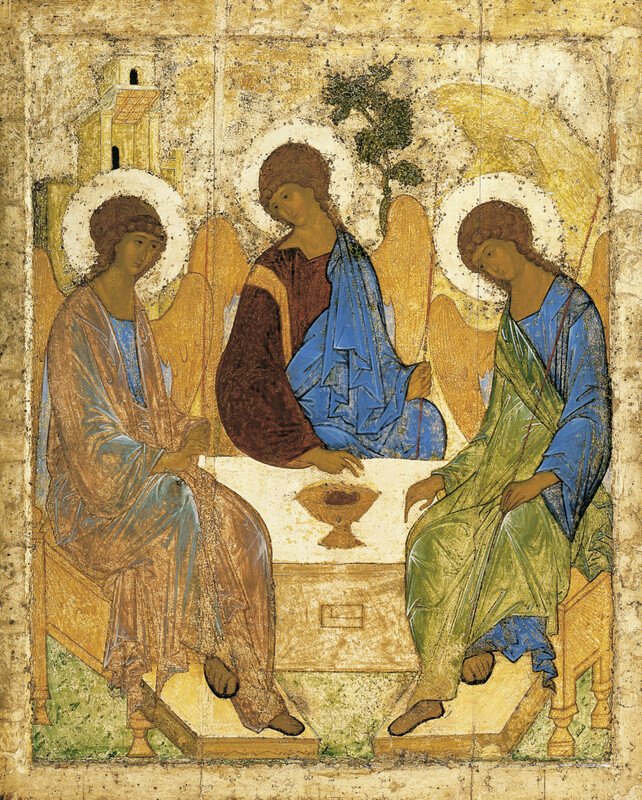 His legendary Holy Trinity (1411) is regarded as a spiritual symbol of Russian art. However, his life remains a mystery, but it's known that he was a monk and dedicated his life to God and painting. As a result, he was canonized by the Russian Orthodox Church. 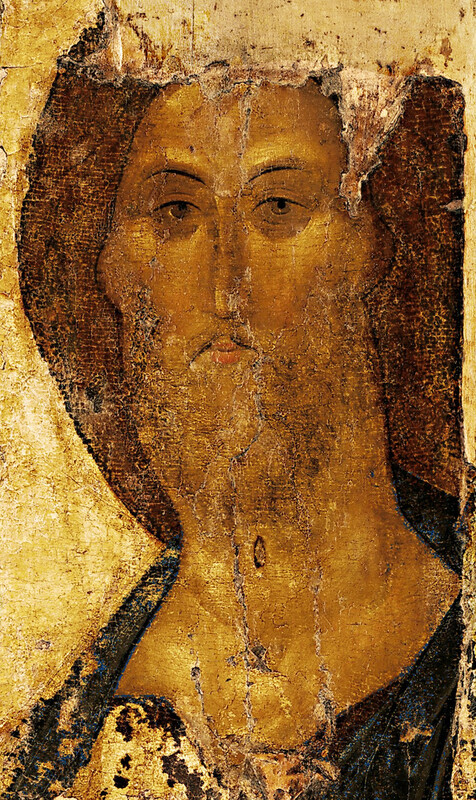 Rublev worked on the frescoes in Blagoveshchensk Cathedral in Moscow’s Kremlin - which is sadly no longer around. Uspensky Cathedral in Zvenigorod and its namesake in Vladimir were also painted by Rublev - the frescoes are still on display today. 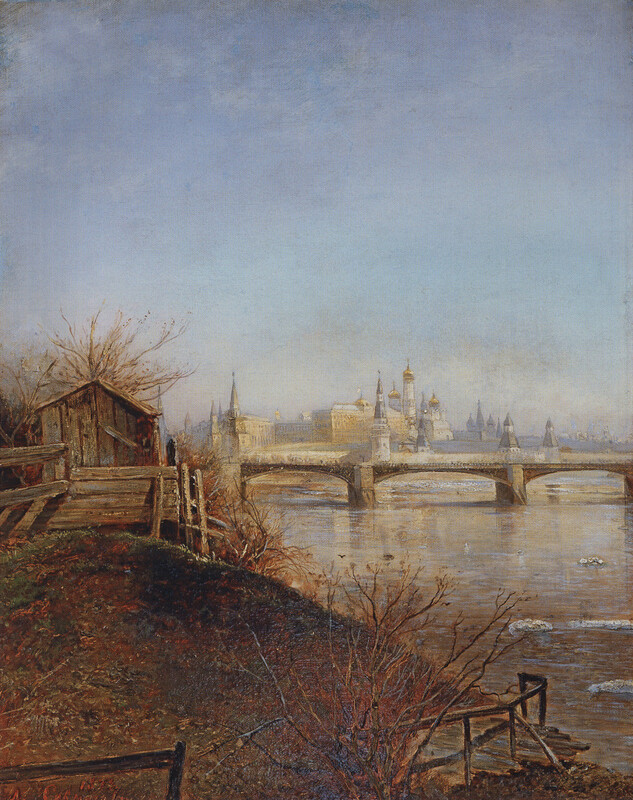 Called the “tsar of painting” by his contemporaries, Karl Bryullov is considered one of the first artists from Russia to make a splash internationally. 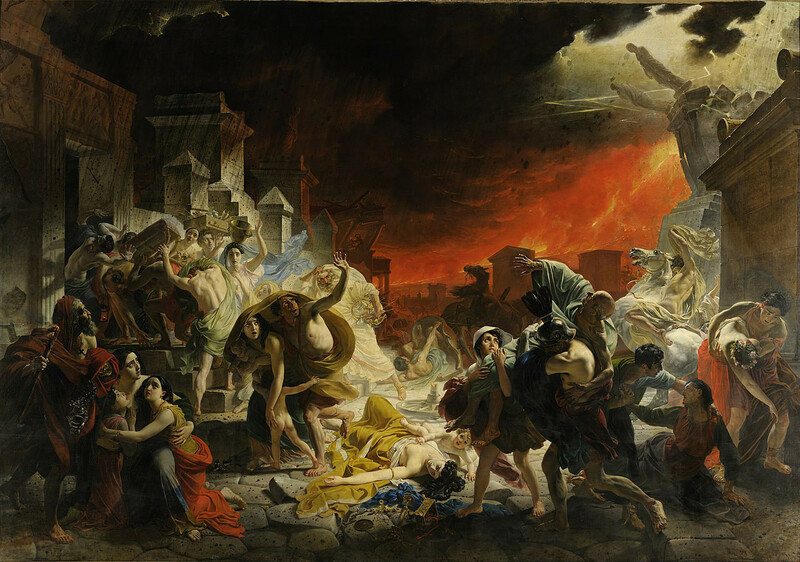 The monumental Last Day of Pompeii (1830 - 1833), which he created while living in Italy, won the grand prix at the Paris Exhibition and made the artist extremely popular both in Europe and Russia. 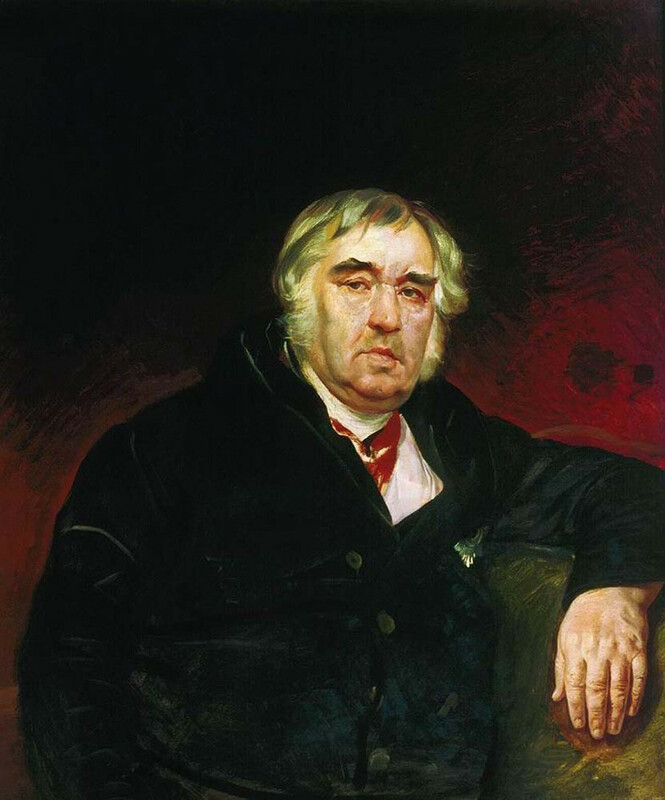 The father of Russian romanticism had French parents, and had the very French name of Charles Bruleau until 1822. His family hailed from a long dynasty of artists, starting with his great grandfather. 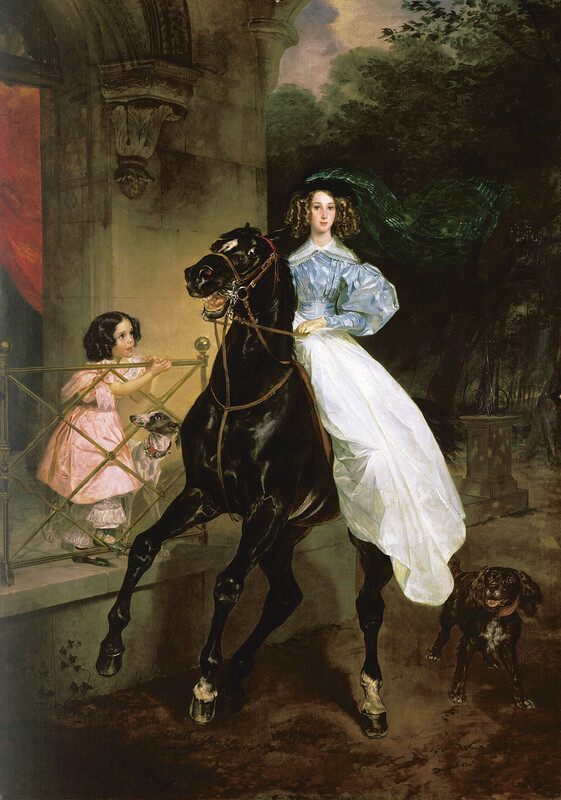 But most of all he's known as a portraitist: The Horsewoman (1832) remains one of the Treyakov Gallery’s highlights. Nobody paints the sea like he did! 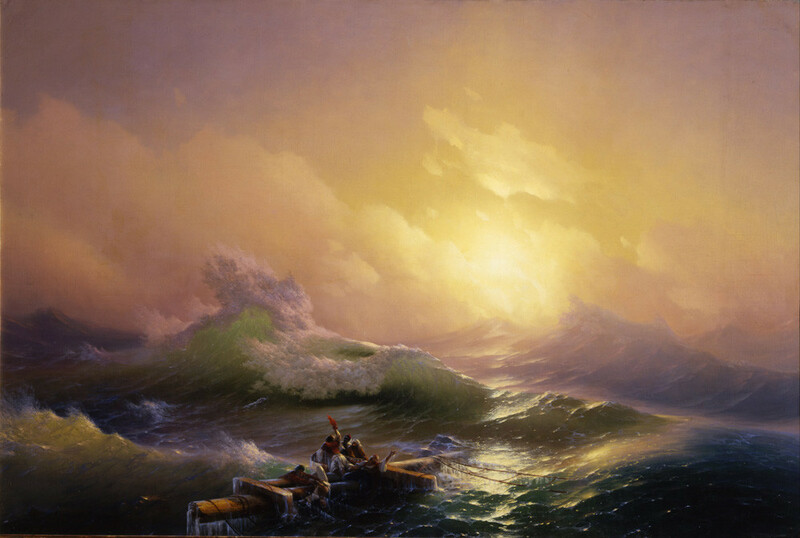 Ivan Aivazovsky, the famous master of seascapes, is one of the most expensive Russian painters in the world. 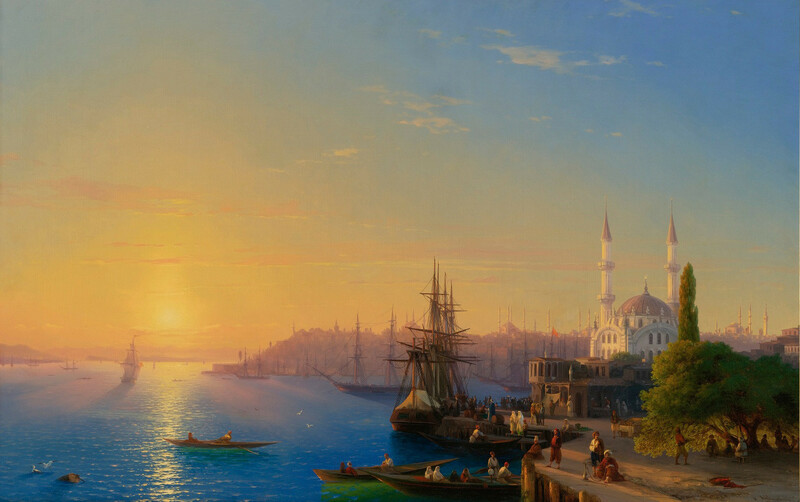 His View of Constantinople and the Bosphorus (1856) sold for almost $5 million at Sotheby's in 2012. 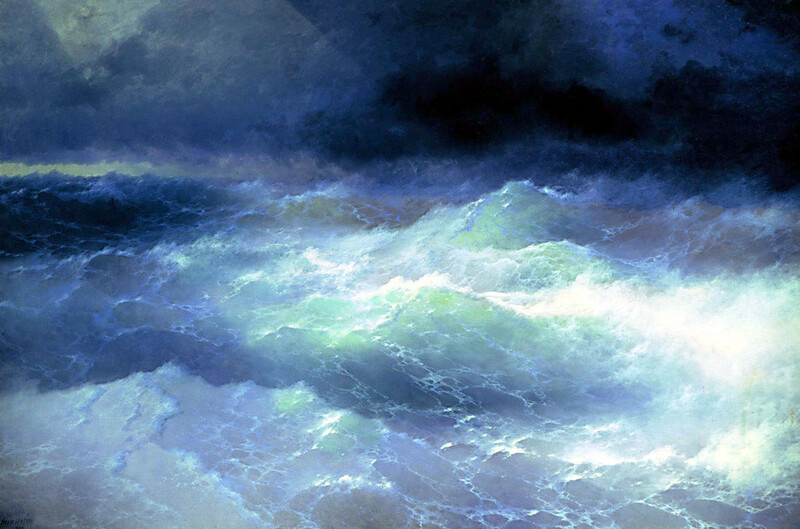 The semi-transparent waves with spindrift, typical of Aivazovsky's works, became an artistic phenomenon world-wide. Aivazovsky was extremely prolific; he created over 6,000 works. The Ninth Wave (1850), The Black Sea (1881), and Moonlit Night on the Bosphorus (1894), are among his finest. Realist painter Aleksey Savrasov was the founder of the lyrical landscape genre in Russian painting. His works are full of personality, intimacy, and nature. He became an academic at the age of 24 and was held in high esteem by his contemporaries, but sadly died at the age of 67 in a hospital for the poor. 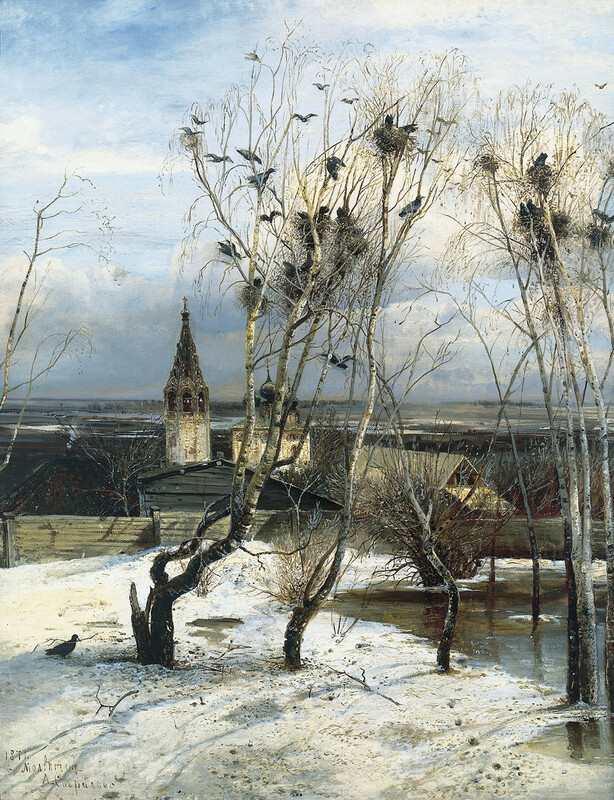 Savrasov painted one of the most famous Russian landscape scenes - The Rooks Have Come Back (1871). 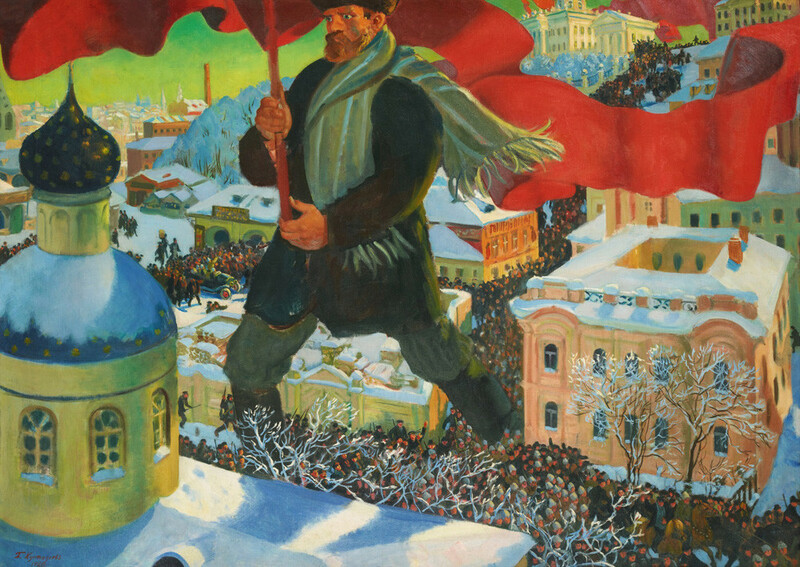 Almost every student has written an essay dedicated to this painting, so Russians are familiar with this artwork from childhood. A true artist of the people. According to the All-Russian Center for the Study of Public Opinion, he tops the list of the best known painters in Russia. 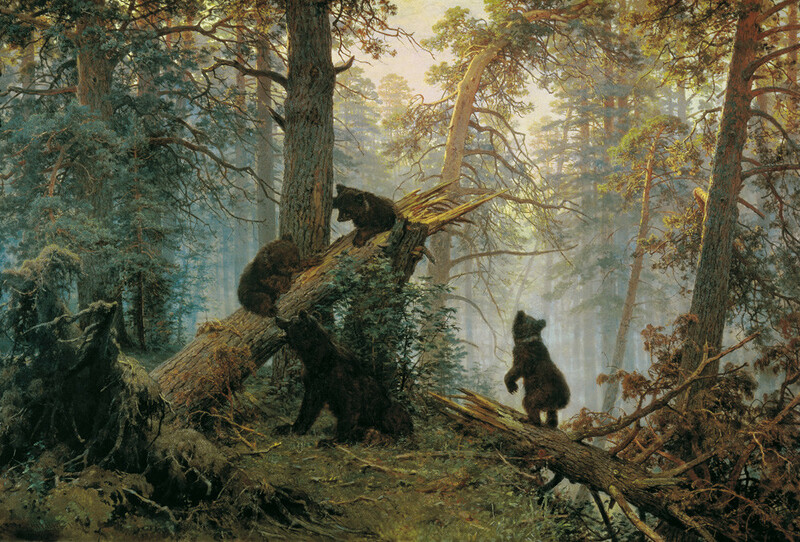 Children learn about him early on, mostly because his painting Morning in a Pine Forest (1886) was used to design the wrappers of famous Russian cookies called Mishka Kosolapiy (Clumsy Bear). 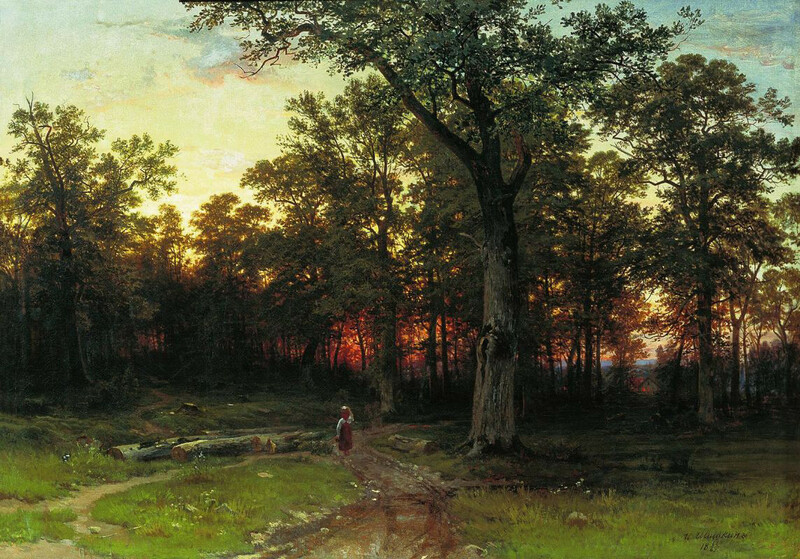 Shishkin's art-works View of the Environs of St. Petersburg (l856), At Sunset (1869), Midday in the Outskirts of Moscow (1869), Rye (1878), Sunny Day(1895) are among the most distinguished paintings of his. 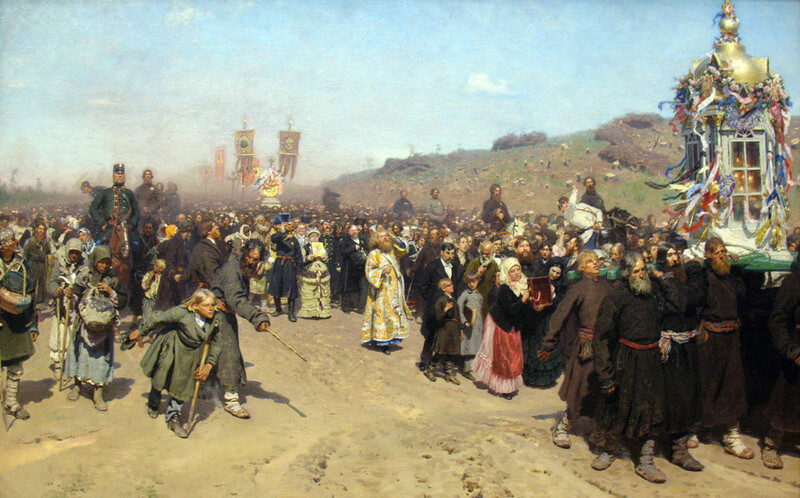 Perhaps the greatest realist painter, Repin painted Russian life in all its diversity and complexity. 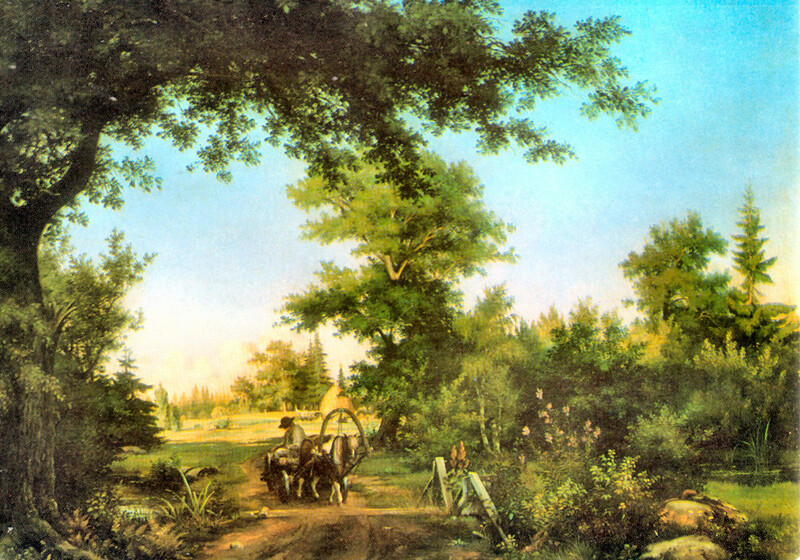 Many of his paintings are set against a strong ideological background. 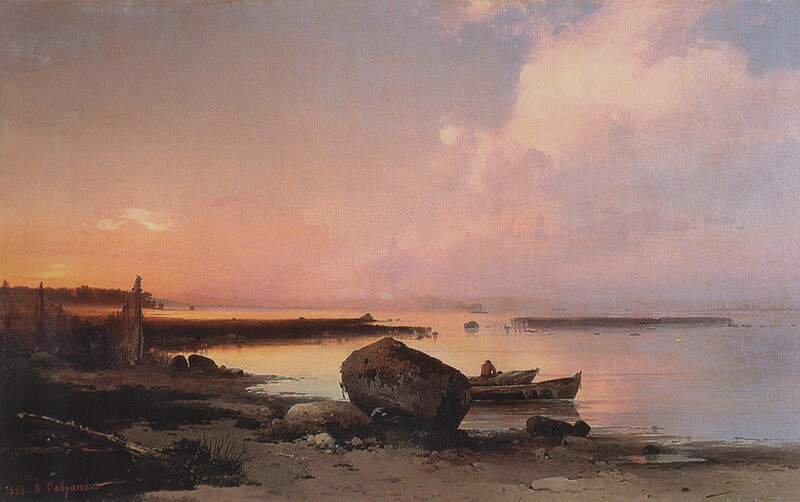 Among his most famous masterpieces is Barge Haulers on the Volga (1870 - 1873), portraying the inhumane work of people who had to move big vessels along the river. 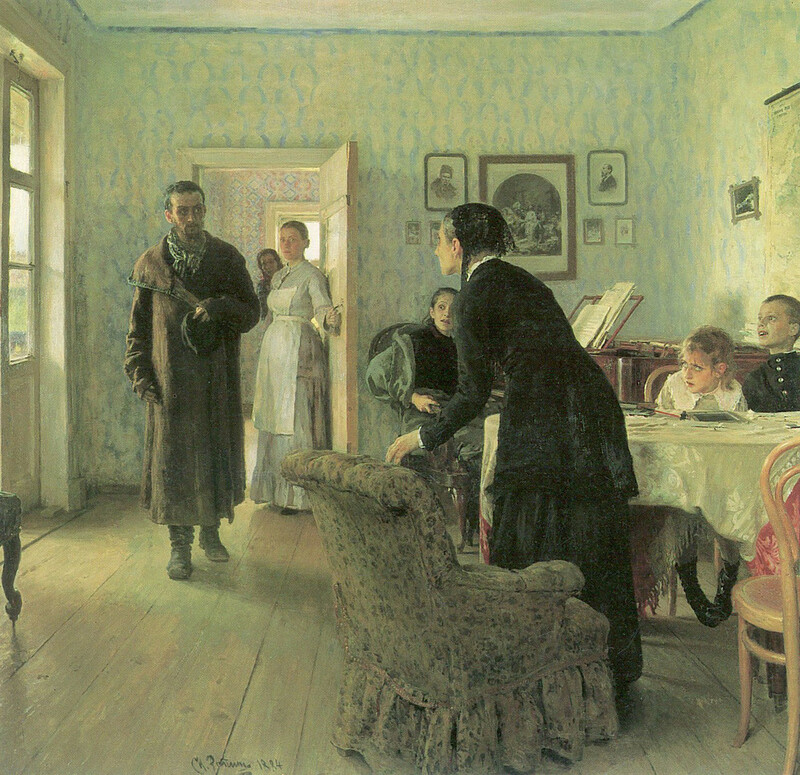 Repin painted it while he was a student of the Academy of Fine Arts in St. Petersburg. The painting caused a huge scandal: Some critics slammed it as the world’s biggest art profanity, claiming he “monumentalized” the scene from the “lower stratas of life” . 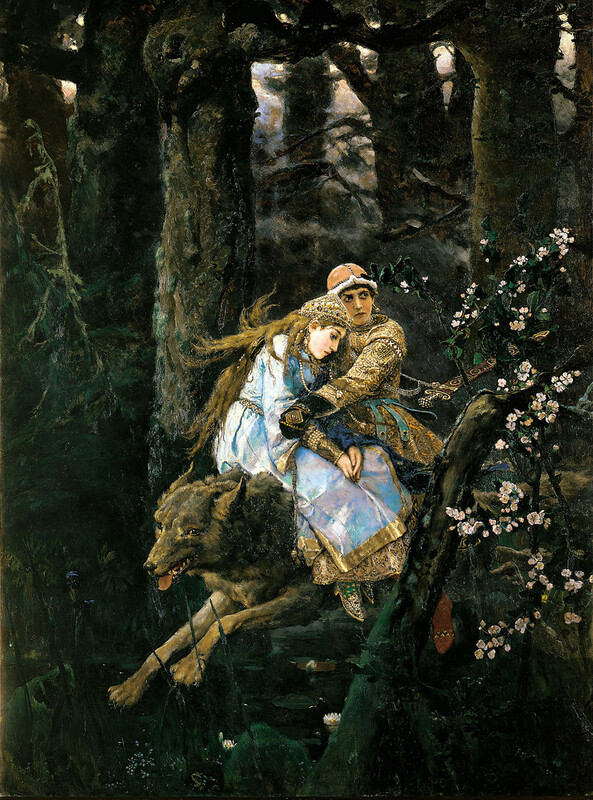 Ivan-Tsarevich Riding a Grey Wolf (1889), The Bogatyrs (1898), Snow Maiden (1899), Princess Nesmeyana (1926),- these are just a few of Viktor Vasnetsov’s brilliant works. 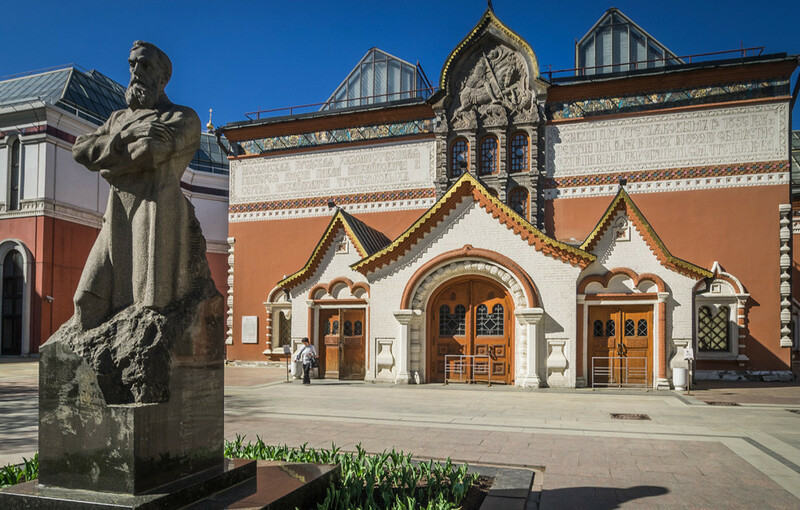 Vasnetsov was also seriously interested in architecture: He even designed the facade of the Tretyakov Gallery. 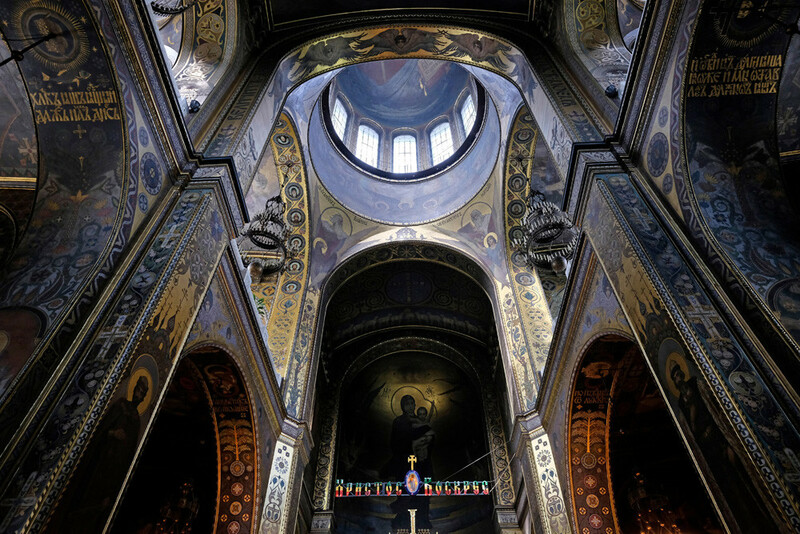 He also worked on the frescoes of St. Vladimir Cathedral in Kiev. 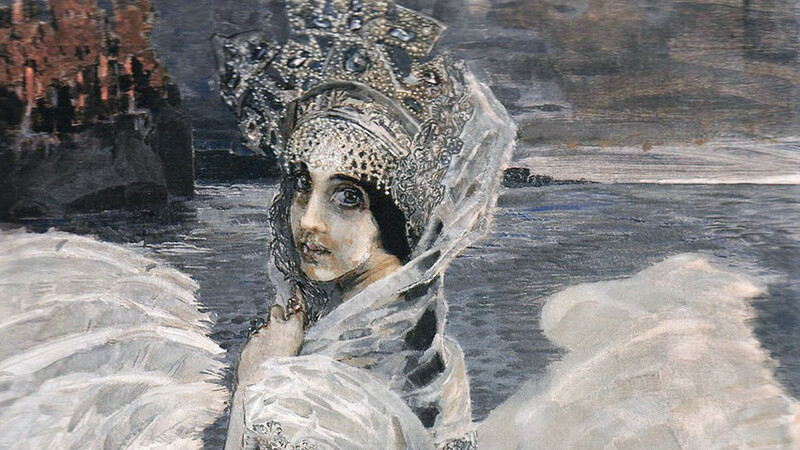 He was one of the most prominent representatives of the Russian art nouveau movement and often daubed his canvases with images from his nightmares. He was particularly interested in the demon from a poem by Mikhail Lermontov. In fact, he was so obsessed that his contemporaries attributed the insanity he suffered at the end of his life to his affixation with demonism. 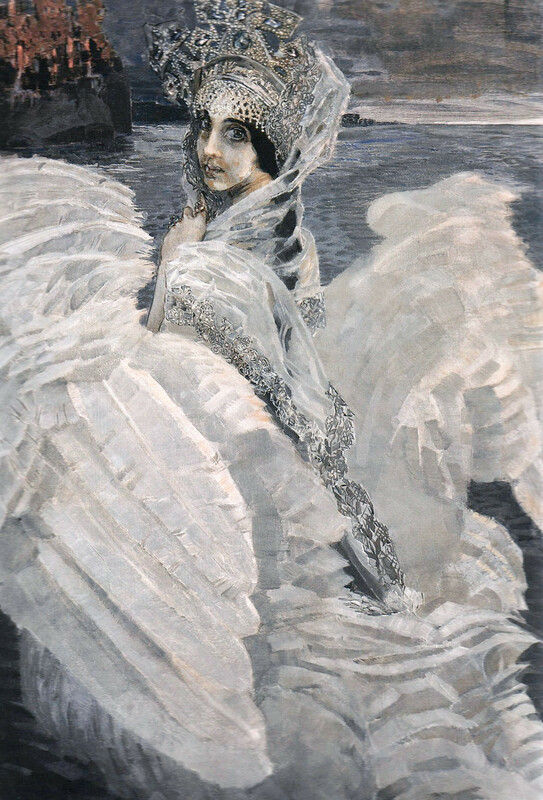 Vrubel was also interested in monumental painting and made sketches for the frescoes of St. Vladimir's Cathedral in Kiev. He was also keen on decorative art, creating majolica sculptures, stove tiles, and ceramic vases. 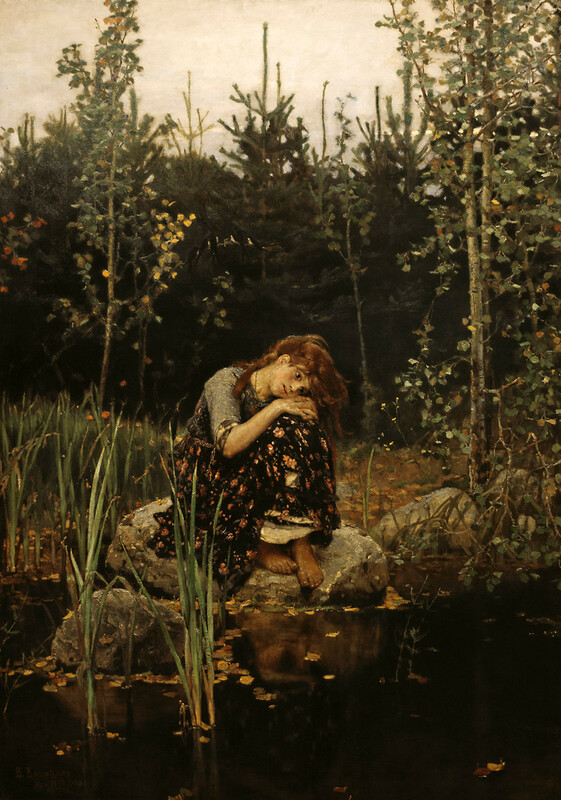 Demon Downcast (1902), The Swan Princess (1900), The Oriental Tale (1886), Portrait of a Girl against a Persian Carpet (1886) are among the best-known works of the painter. 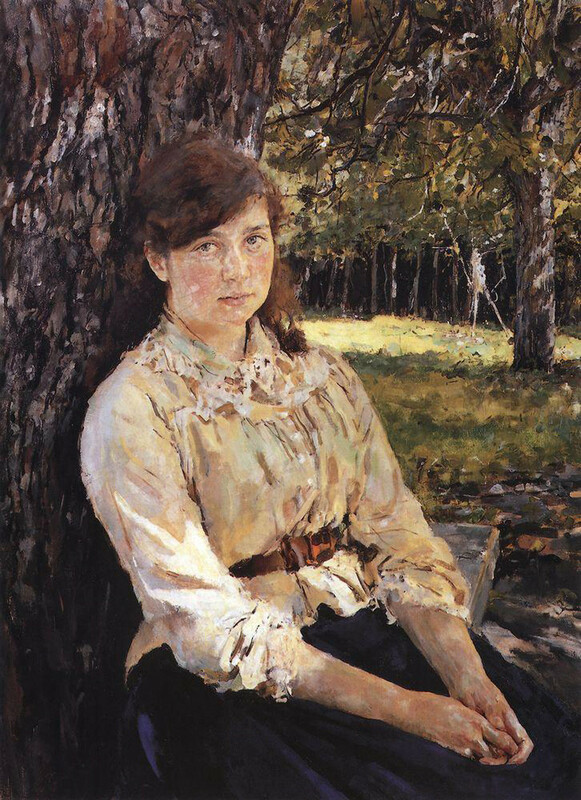 The outstanding Russian painter, Valentin Serov, is known as a master of psychological portraits. It was an honor for the Russian elite to have their portrait painted by the artist. There was a permanent queue outside his studio, but at the same time his models were afraid of Serov because he was able to portray the shortcomings of a person very caustically. Some critics consider him a representative of Russian impressionism. His most emblematic painting in the genre is The Girl with Peaches (1887). 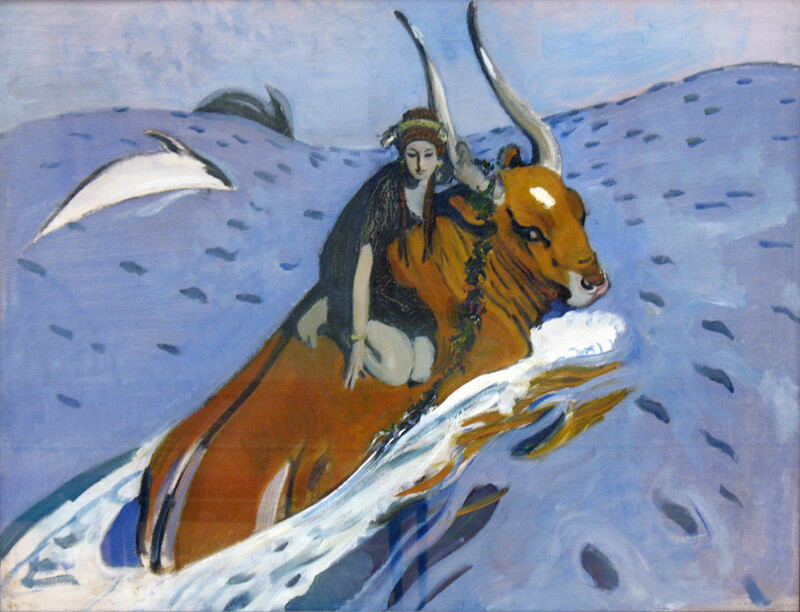 The Girl in Sunlight (1888), Summer (1985), The Abduction of Europa (1910) are among the best-known paintings of the artist. Boris Kustodiev captured everyday village life in Russia on his bright and cheerful canvases. He studied alongside the famous artist, Ilya Repin, and was a member of the legendary Mir Iskusstva (World of Art) movement known for producing Sergei Diaghilev's Ballets Russes. 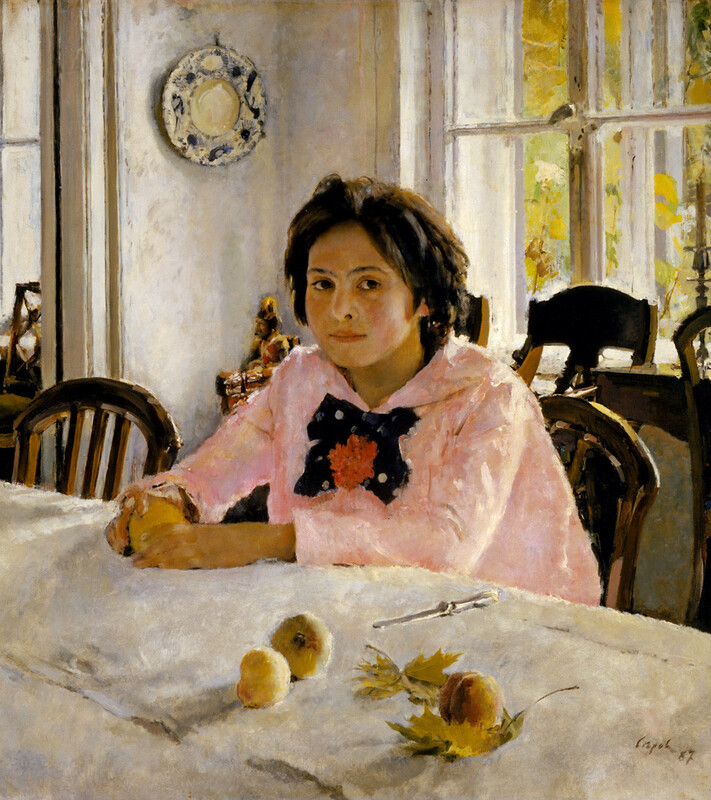 Among his best known paintings are A Merchant’s Wife's Teatime (1918) and The Bolshevik (1920), Portrait of Chaliapin (1922), The Beauty (1915).